Udine in northern Italy during the severe storms which wrecked havoc on that region over the past few weeks. Heavy rains and flooding have killed 15 people in Italy; in Venice the marathon runners ran through ankle deep water and the next day tourists were up to their knees in it as they tried to navigate around the city. You can read about the floodinghere. It was ironic that I could not visit the city on the first day I arrived there due to the floods. A beautiful city at real risk from sea level rise. 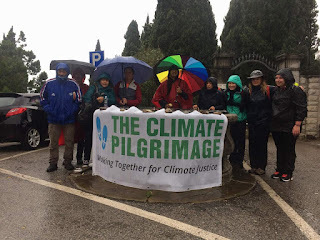 Our group is made up of climate activists from the USA, England, France, Germany and the Philippines. 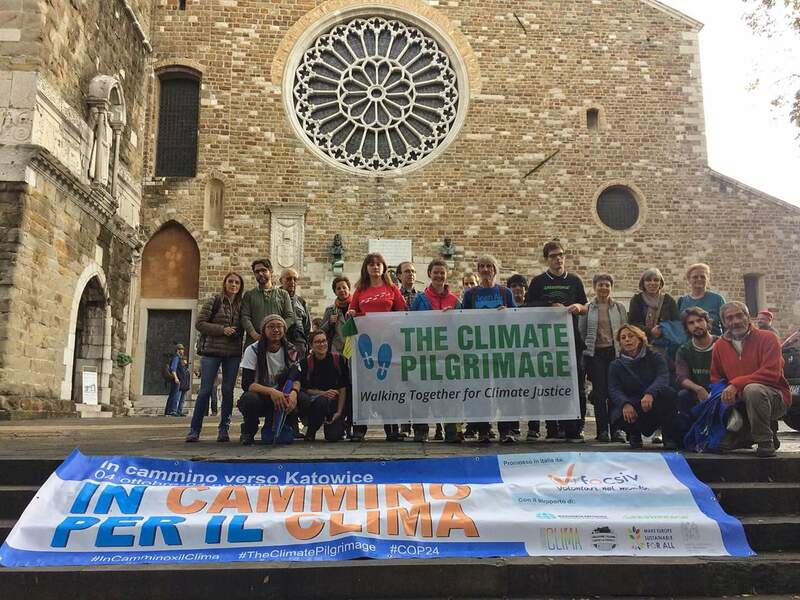 We have an amazing support team organized by a coalition of NGOs such as FOCSIV in Italy, Greenpeace and the Global Catholic Climate Movement. 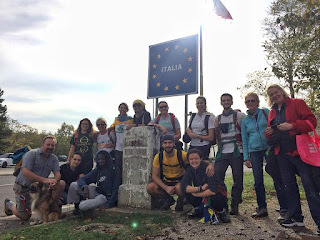 In Italy we were led by our coordinators Claudia and Pepe and since arriving in Slovenia our fearless leaders are Patricia and Louise. 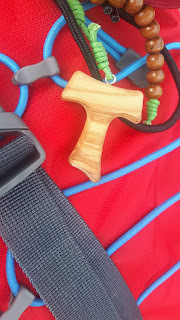 We could not complete this pilgrimage without these people. 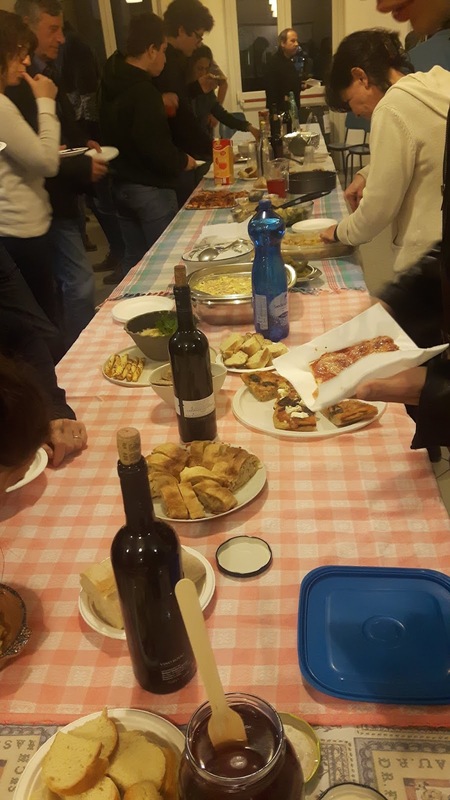 They plan our route for each day, liaise with local NGOs and parishes on the events we speak at each evening and keep us well fed and watered. 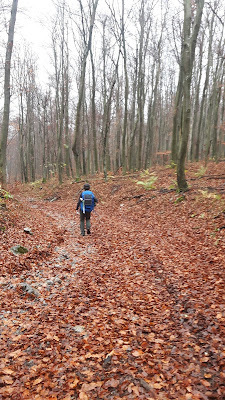 Logistically they make our journey possible and we only got lost in the forest in Slovenia on a couple of occasions so far! As a pilgrim all you need is the stamina to complete an average of 24kms on most days and the motivation to be here. Some days are easier than others. The rain has been relentless these weeks but you get used to it. The temperatures remain mild for this time of year and locals in northern Italian towns told us that it is ten degrees higher than normal at present. and city that we stay in we experience the most generous hospitality. Sometimes we stay with families who may be associated with our support network, or a parish community hosts us; occasionally we are on the gym floor in a local school, regardless I am blown away by the welcome we receive in each place. Since I arrived I've experienced many events where at least 40 people gather to listen to our stories, to bring food and beverages, break bread with us, support our petitions, watch our presentations and generally fill us with so much hope and a sense of solidarity that it is hard to put into words. villages we had visited and walked with us for the 24 kms on Sunday. That is solidarity. 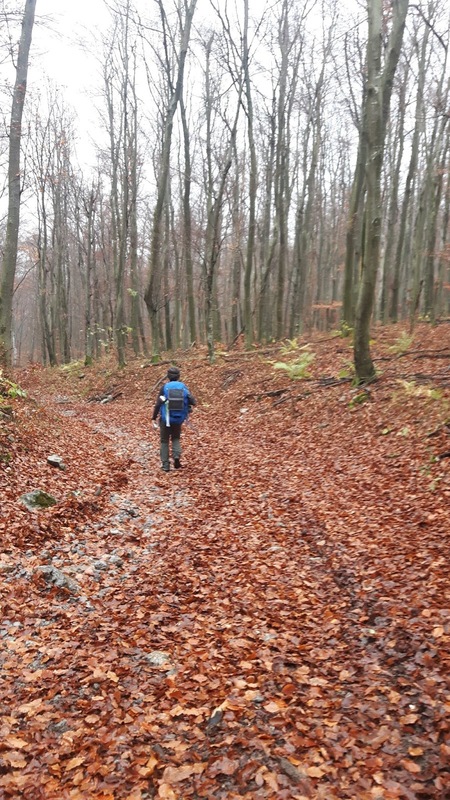 For the past two days we have been in Ljubljana following some rainy days walking. 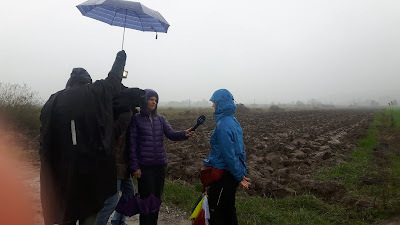 We have been fully occupied with events in parishes, schools and Slovenian national media are keeping us very busy. We even featured on a full page story in Slovenia's national newspaper. Today is the anniversary of Super Typhoon Haiyan, the strongest typhoon ever recorded in human history which slammed into the Philippines in 2013. 15,000 people died. 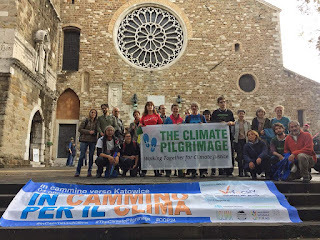 Please take time to watch and share this short video which features the story of Yeb and AG who lead this Climate Pilgrimage. We walk in solidarity with them and for them and for all who are suffering because of this global crisis. 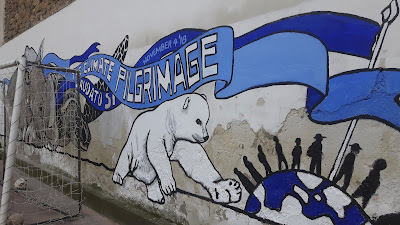 In the run up to COP24 it is so important that our pilgrimage receives as much publicity as possible and that a strong message is sent to government leaders worldwide. 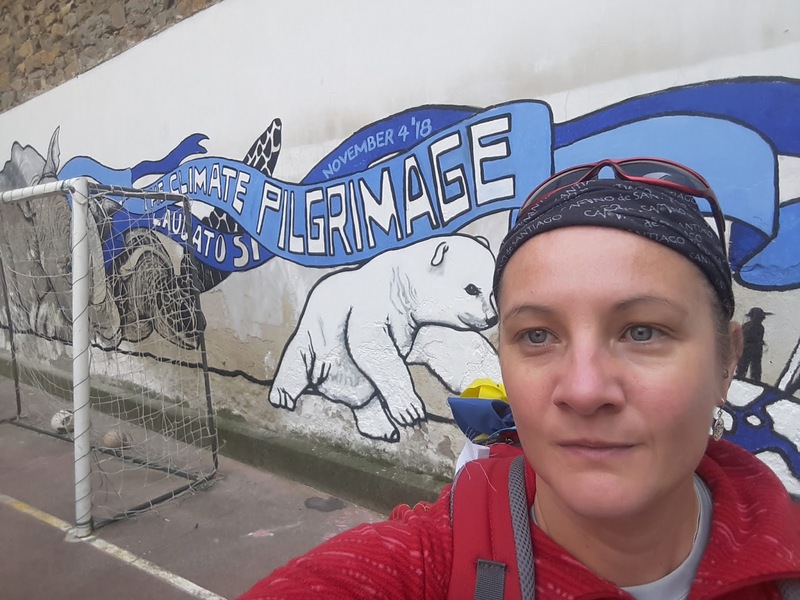 You can walk with us by taking action in your own country. Please follow this link and share with your contacts, colleagues, friends.